IWATC IS ON KICKSTARTER RIGHT NOW!!! 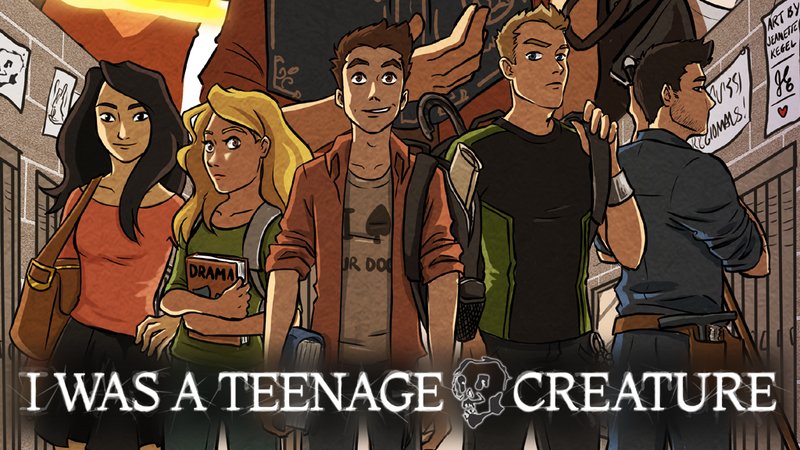 As the News Page header above says, the Kickstarter campaign for I Was A Teenage Creature has finally launched, and it's off to a fairly good start! The initial rush got us ten-percent funded in the first 12 hours, which is pretty amazing for a tiny little LLC that no one has ever heard of before! The campaign launched at midnight on April 13th and will run for 30 days, ending at midnight on May 13th. It's been running for just over five days now and has already passed 22%, so I'm hopeful we'll score at least 10k and fund the book's publishing — but if we hit 15k or 18k and get the book printed in color or even with a hardback cover that would be even better! –And if we make it all the way to 20k, the eight Alternate Creature Types will be included in the base book, instaed of waiting for an expansion. IWATC's Kickstarter can be found _here,_ and there are still many of the limited rewards left, but over half of the Early Backer $10 off discount slots have already been claimed. If you or someone you know is interested in getting a physical hard copy of the book (and aren't interested in the expanded pre-gen characters, customized dice at a discount, or having a character you created included in the base book or the first expansion,) then you probably want to pledge soon, before the remaining discounted slots are gone. Naturally, every bit of assistance the campaign can get will be a huge help. . .both financially AND through exposure. Spread the word through the social media of your choice, direct your friends to the campaign, every little bit of help counts! If you'd like to see IWATC become a reality, now is the time to help make that happen! ..But, We FINALLY HAVE NEWS WORTH REPORTING!!! Yes, I Was A Teenage Creature is indeed finally coming to Kickstarter, after MANY months of anticipation! The video is being finalized, the business account for Ninjacat Stories LLC is being verified, and a few days after that, we should be LIVE! But that's all behind us now, because I Was A Teenage Creature will be launching by the end of the month! (Hopefully in less than a week!) The Kickstarter is going to have ten different reward levels, with all but the most exclusive including all of the prior rewards! The second reward tier is only $15, and it will get its backers a fully-playable preview version of the game if the campaign is successful, so it's going to be totally easy to own a copy of IWATC that is completely playable in less than two months! (Or maybe a few weeks more, if we're still waiting on character art for the pre-gens, but the artist is working on those right now!) Actually, some of the character work-in-progress art will be featured in the Kickstarter video, so everyone will be able to get a sneak peek of that, too. ..But July was pretty much spent getting ready for Gen Con, and working on prep for the Kickstarter. Yes, it has indeed been almost a week since Gen Con, and the Kickstarter has not yet launched, despite my announcing it would be running during Gen Con. This was actually done on purpose, for several reasons. First and foremost, a good friend of mine (who has run several Kickstarter campaigns of his own,) pointed out that Everyone And Their Mother runs a gaming Kickstarter over Gen Con, and my campaign would just get lost in the noise, which is an excellent point. I am not at ALL an online/social media person, so my Kickstarter will need all the help it can get, which includes not screaming into the windy storm of dozens of other projects. The other major factor was that trying to prepare for both Gen Con AND to launch (not to mention run!) a Kickstarter at the same time would most likely have been biting off more than I could chew simultaneously. Now that Gen Con is behind us, I can focus on the Kickstarter and give it the attention it deserves. I Was A Teenage Creature was extremely well-received at Gen Con this year; I ran six or seven sessions, and one of the play-testers from the home campaign also ran a few sessions, all of which were thoroughly enjoyed. In fact, we had a number of people —including the ENTIRE table of my playtester's third session!— desperately wanting to know when the Kickstarter is going to launch, so they can back it right away and get more people into it, which is fantastic! I spent a few hours of Sunday afternoon talking shop with a fellow urban fantasy game designer, who also fervently wants to own the game; win-win! Also, as mentioned last time, here's the cover image for IWATC's core rulebook; it still needs some details refined, especially in the case of Tom's Vampire face, but this is close to the final image! Gen Con and Kickstarter plans are proceeding. . .printing is ridiculously expensive, so it looks like I Was A Teenage Creature will most likely be a perfect bound (paperback, like a graphic novel,) book, still a traditional 8.5" x 11" letter-size book. I may have to launch the Kickstarter project as having black-and-white interior pages, and just make full-color the first stretch goal, with hardcover being a higher stretch goal. Get the word out, and we can make all of this happen! Next month will obviously have a HUUUUGE announcement when the Kickstarter goes live, but I'll post a teaser of the book's cover before then. On the other hand, that means there actually is quite a lot of news to share! • Ninjacat Stories is now Ninjacat Stories, LLC! This means it's a real company that can perform business transactions, which will of course be needed to produce IWATC, or any other game. 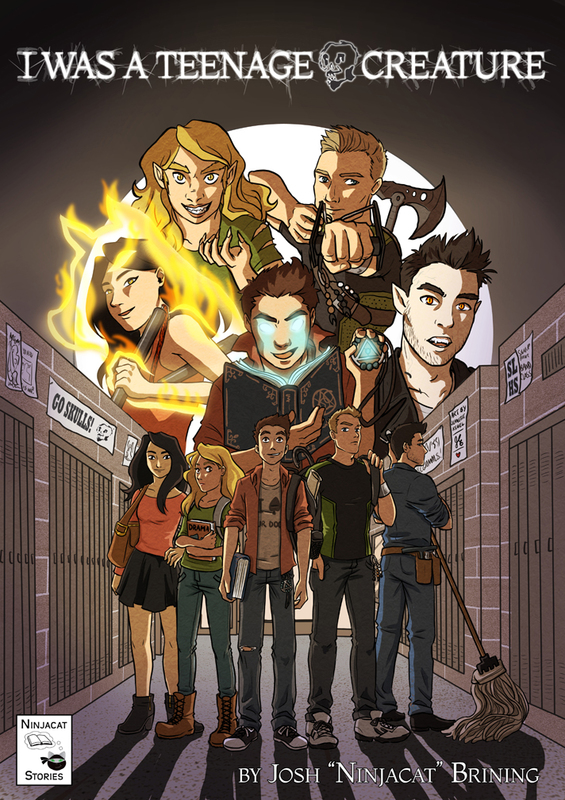 • I Was A Teenage Creature will Finally be launching its Kickstarter in the last week of July! • The Kickstarter video is a WiP, but it does have a soundtrack, which will be shared in a future News post. My only excuse for not updating more often is that things have been extremely busy behind-the-scenes for Ninjacat Stories, gearing up for launching the Kickstarter, but all three IWATC events at this year's Gen Con sold out in short order, so that's encouraging!. Yes, that's right, "Ninjacat Stories"; my brand has a company name now! Running a Kickstarter virtually requires forming an LLC, for tax purposes, so my studio is now known as "Ninjacat Stories" —the contact gmail address was changed, even! Obviously, IWATC is a narrative-based RPG, but I myself am a writer and storyteller, so I can safely say ALL of my future projects will be about telling a story in some way, shape, or form. We need to wrap up the initial launch of IWATC before starting any other projects, of course, but that time will come. That time won't be coming too soon though, sadly. Unfortunately, my living situation is changing in the immediate future, and I'm going to have to cover some unexpected legal expenses in the next two months or so. Sadly, this means I won't be able to make the financial expenditures required to properly launch a Kickstarter until after these issues have been resolved, which is looking to be mid-August…which is Gen Con. Staying in a hotel in downtown Indy ain't cheap, but I run far too many events to stay on the cheaper outskirts of town, so the Kickstarter will most likely be launching at the end of August at the EARLIEST. This was most certainly not my intention, but such is life. In the meanwhile, however, this means that there's just that much more time to get things better arranged for when the Kickstarter does launch, spread the word to increase anticipatory buzz, etc. I will be participating in a Q & A session about IWATC in the #rpgnet chatroom from 7:30pm – 9:30pm CST on Monday, June 12th. The chatroom can be found at: http://tinyurl.com/rpgnetchat. I don't know exactly when I'll be launching the Kickstarter yet, but it's only a matter of months, now...possibly even only weeks. Please help spread the word through whatever social media and interaction you prefer — the more IWATC is on people's minds when the Kickstarter launches, the faster it will reach goals and build momentum! Also, if anyone is interested in contributing art to this project, or knows someone who might be, go ahead and Contact us! Firstly, my apologies that it has been so long since I've updated the site. I had some legal issues at the end of last year that necessitated taking a second job, and this site was one of the things that I let slip by the wayside due to lack of time. That entire situation has been resolved and I am now only working 40 hours a week instead of almost 70, so things are much better now. The core rulebook's text is still proceeding apace and being edited online by some wonderful people, so I'm very grateful for that. Art for the Kickstarter has been proposed, invoiced, and had its downpayment paid, so the Kickstarter will be good to go once everything else is. In order to drive awareness for the Kickstarter campaign, I Was A Teenage Creature will be present at Who's Yer Con 2017, March 31st–April 2nd in Indianapolis, as well as at Chicago GameDay #45 on May 20th, in Mt. Prospect, IL. All are welcome to swing by and see things in action! If anyone is interested in contributing art to this project, or knows someone who might be, go ahead and Contact us! Ugh, apparently I only update the site's News every other month now, instead of each month? Shame on me. However, I can say the site has been quiet because we've been very busy behind the scenes. The main text is progressing, with the early chapters being proofread online at the dedicated Google Plus community, and initial layout has already started. We're also working on the Kickstarter side of things, preparing to launch sometime in the first half of next year. E-mail lists are being compiled, background scoring for the eventual video is being selected and edited, and initial outreach to artists has begun. Okay, we're about to enter the last quarter of 2016, so it's time for I Was A Teenage Creature to start gearing up for the Kickstarter next year. I sincerely hope to be Kickstarting in the first quarter, but there's still lots of work and challenges ahead to get to that point. One thing that will help IWATC get produced sooner is, of course, editing and proofreading. In our wonderfully cyber-connected world of today, all of that is possible online, meaning anyone can potentially aid the process. I will be posting chapters of the IWATC rulebook on my Google Drive as Google Documents, which already has systems in place for leaving comments, highlighting sections, etc. Obviously, this will only be the text, actual formatting and layout will be a behind the scenes process. 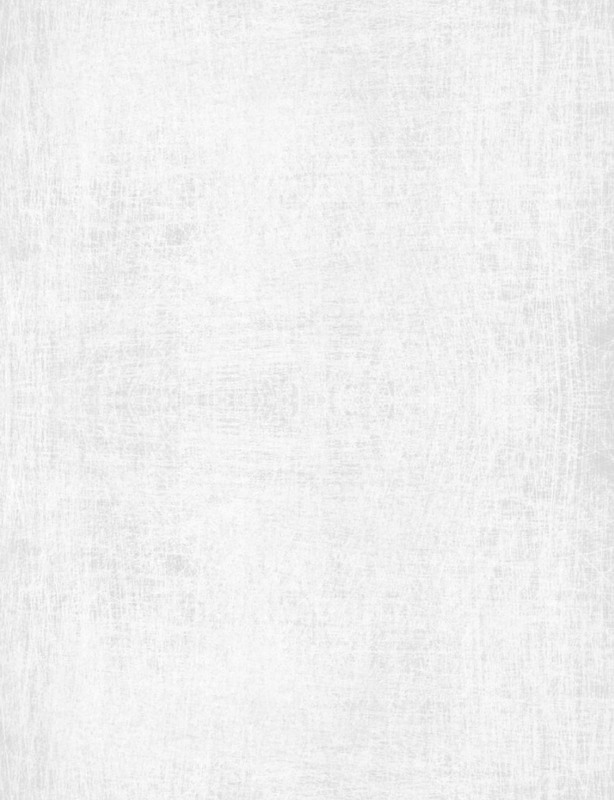 On that note, if anyone would like to produce art to be featured in the project, or knows an artist who might like to do so, please Contact me with an email saying so. I will be working with artists to find suitable styles for the book, and having a cover image BEFORE the Kickstarter next year would be ideal. So, if anyone is interested in having access to the game's text even before the Kickstarter, much less publication, please use the "Contact" link below to email me (at ninjacatstories@gmail.com). Please change the subject line to "IWATC Proof Reading", that way I know you're not only interested in participating, but you'll also be proving you can follow directions! Sure, anyone could get added to the list and then download the Google Doc and be of no help whatsoever, but anyone who doesn't comment or participate in some fashion will have their access revoked before the next chapter's G.Doc gets uploaded. Please do sign up if you're at all interested, and let any friends you think might be interested know as well. . .every extra set of eyes helps find typos, point out wording that is unclear, etc! Alright, first off, MY APOLOGIES for not updating the News section since May! Actually, not too awful much happened during the rest of May and June, but I did have the opportunity to playtest IWATC overseas in June. It was well received, with people who don't have English as their first language still able to understand how everything worked and have it make sense for them, so that was encouraging. And another person overhearing our game session was still able to follow along enough to cheer when the demon was defeated, so apparently the game tells a good story, as well. Excellent. Naturally, July was primarily spent getting ready for Gen Con, and it paid off in spades. IWATC was extremely well received, with at least four Players at all three sessions. People embraced the "teen dramedy 'horror' TV show" concept and were personifying their Tropes and cracking up all over the place; it was absolutely FANTASTIC. Quite a few people agreed that this game is capturing a nuance of the genre that hasn't been done before, so that's extremely encouraging. Here's hoping the Kickstarter next year is a smashing success! Okay, we're only halfway through May, but Gen Con event registration opened on the 15th, and ALL THREE I Was A Teenage Creature EVENTS SOLD OUT IN LESS THAN 24 HOURS!!! I can't even express how fantastic it is to see this…sure, my media-based games like Buffy, Supernatural, and the Dresden Files always fill up right away, but those are based on popular franchises with existing fanbases. Teenage Creature doesn't have that, so for it to have filled up right away too is very, very encouraging! Can't wait to see everyone at Gen Con! W00t!!! Not too much to say for the rest of April, but I let some of my European friends know about this site, so hopefully the social media awareness spreads! Also, I've mostly finished outlining the core rulebook, just gotta hammer out all the words, now. Progress is being made; here's hoping it continues steadily and smoothly! Okay, April's not over yet, but I thought I would update to say that I Was A Teenage Creature's debut at Who's Yer Con went VERY well! The first session actually didn't go off; there was only one pre-reg, who did not show up, but someone stopped by my table and was very interested. Since I couldn't run a session with just one Player, he sat down and generated his own character, to play at the next session! So hey, generating interest, which is what I wanted to do, right? I also had one pre-reg for the first session on Saturday, who did show up, and decided to play a Succubus. This was fairly hilarious, since she had little black devil horns peeking up from the crown of her head, at the bases of her red pigtails, heh. Her Succubus was joined by the newly-created Ghost from the night before, and two of her friends showed up when we were only a scene or two into the session. She talked them into joining us, and we all had a great time defeating a paranormal serial killer. Final session on Sunday also went very well; the first Players to show up were a couple, and he hadn't really done tabletop RPGs before. That being the case, I gotta say he did a great job of getting into it; he used his character's backstory and details to motivate his choices in-game, played hilariously off his girl's character at one point, subtly worked his own character's contributions to the story into what the last two Players' characters were doing. . .well done, all around! The last two Players were great, too; one played the Jerk-Jock Hunter and did a great job of making his character a jerk without being a jerk himself, and the other played the Ordinary Human character and did a fantastic job of running with the character's "how do I survive the paranormal situations of my friends?" internal conflict, and used his Lucky Success to survive the surprise ghost attack in the final conflict. The whole thing was totally awesome. Everyone seemed impressed; one of the group on Saturday said they felt IWATC is speaking to a niche of RPGs that hasn't been addressed yet, in terms of being an emotionally-driven urban fantasy. If he's right, that could mean that the game will really catch on, which would be completely awesome. People commented on liking the character sheet layout, the Player Referemce sheet, even the poor business cards with their separate fronts and backs. The fronts had this website and IWATC's Facebook and Twitter addresses, so hopefully buzz is generated as we go forward. Things went well, and I'm all the more hopeful that KickStarting next year will be a success. So, back to working on the rulebook! Prepping for Who's Yer Con at the end of the month, so exciting! I'll be running four sessions of I Was A Teenage Creature, one Friday evening, two Saturday afternoon and evening, and one Sunday at noon. I'm still putting scenario notes for the Player Characters together and such, so con prep is tying up some time that would otherwise go to working on the rulebook, but issallgood. I'm hoping to start generating some buzz for IWATC at Who's Yer Con, and that it carries on into Gen Con. . .if I can get people interested in and talking about the game before it goes to KickStarter next year, it'll be all the more likely to succeed when it gets there! Wow, have I been working on this thing for a whole year already? And the concept is a year older than that, holy geeze. . .but yes, I Was A Teenage Creature has been in playtest for a year now, WOW. Of course, it's been a lot more "playing" than "testing", but that's mostly because the game is fairly simple, and we've just been getting into the story and characters so much that we rock on playing, and never leave ourselves much time for group discussion, oops. But it's okay, 'cuz I've had a fair amount of discussion with each of the Players individually. We're getting there; this is gonna be a real game someday!